You wouldn't know it by a lot of the cartoons I've drawn (including this one), but I really do hate the stereotype of the nerdy, pencil-neck number-crunching engineer with thick glasses and an undeveloped right brain. Yet, here I go again, advancing the engineer geek stereotype in another cartoon. 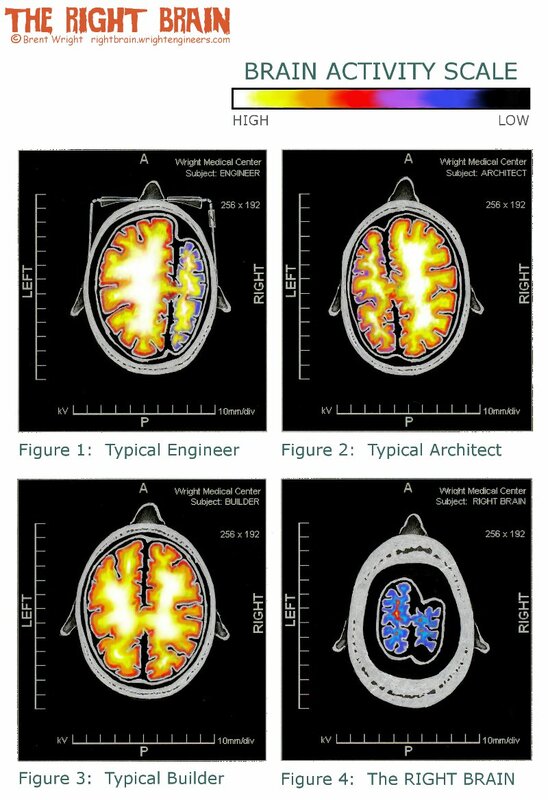 Though many engineers do seem to have a relatively undeveloped creative right brain when compared with their analytical left brain, the best engineers are both very analytical and highly creative. For comparison, I have included a scale drawing of my own brain scan in Figure 4.